Home » Forums » Patterns » Blue Chironomids? Some of the fellows at the FlyBC website have been talking about blue chironomids. I've tyed up a few and was wondering about peoples thoughts on these little bugs. I tie some soft hackle patterns with blue peacock breast feathers and they work well, so I guess a blue chironomids could work also. I guess a blue chironomids could work also. rtreuse and purple work, why not blue? Remember that fish see differently than we do, and that light is filtered as it goes down through the water column. It's the same reason you would use a purple steelhead fly. By the way, I love chironimids. I've spent too many hours hooking large fish on small flies from a float tube. The hooking was good, the landing wasn't so great, but it sure was fun. Yeah, I'm pretty much a chironomid freak also. I love first thing in the spring and fall fishing with them. It is pretty cool getting a 10 lbs Rainbow to take such a little pattern. We'll see if these blue guys work come September and October before the ice comes back on. Finally got the chance to try out these little blue Chroni's today on Bellos lake. Although the weather was a little off and on all day, overall it was good fishing. I caught a number of rainbows that topped out at around 20 inch. The largest on the blue chroni's was about 14 inch. Blue chironomid patterns can also be effective on freestone streams and tailwaters. 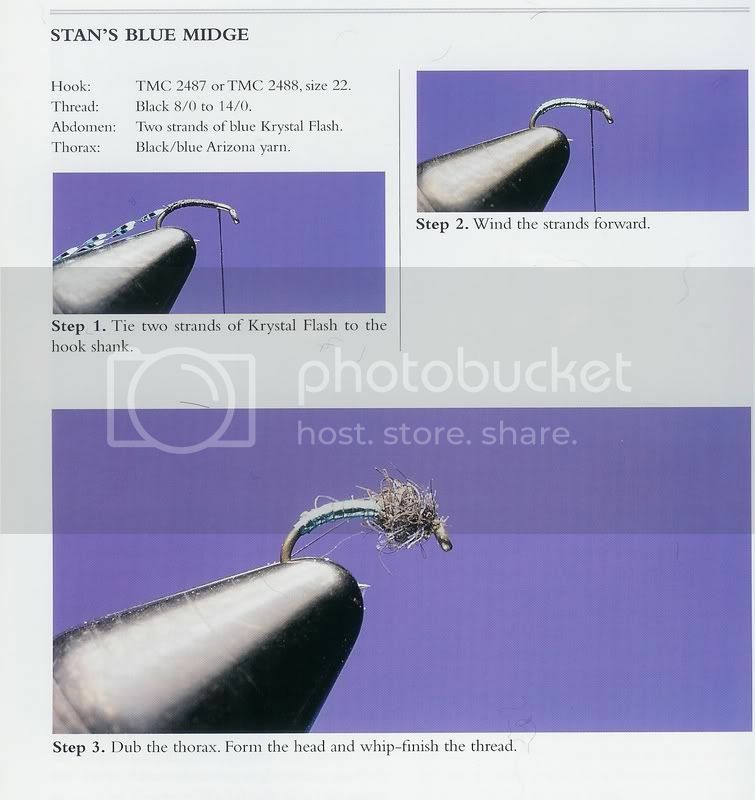 On the South Platte (tailwater) in Colorado, Stan Benton's Blue Midge works well some days, often when nothing else will. The pattern is featured in Ed Engle's Tying Small Flies. 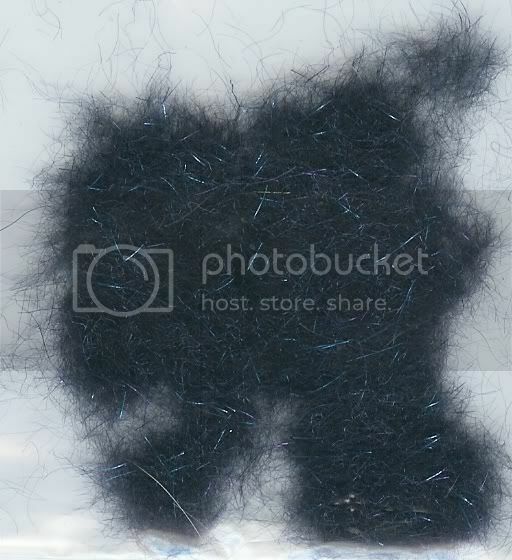 The dubbing prescribed is chopped & blended Arizona Sparkle Yarn (Black/Blue). Arizona (John Rohmer) may have discontinued the Sparkle Yarn, however. Their Diamond Braid may work as well) The body can be any metallic tinsel, or even wire (UTC carries their Ultra Wire now in a Blue, x-small and up). Where in the water (stillwaters) do you guys fish these midges? Close to the bottom, with a slow retrieve, or in the surfact film? This is a Blue Bead Buzzer I tied (?) recently. The bead buzzers can be useful fished on the point with a team of buzzers on stillwaters.